Combine the water and sugar in a saucepan on high heat. Continue stirring the mixture until the liquid changes from milky to clear. At this point, add the desired flavoring to the liquid. Bring the mixture to a boil, then set heat to low and let it sit for 10 minutes. Turn the heat off and allow to cool for another 30 minutes. Strain and pour into a closed container (I use these) and refrigerate. The concoctions seem to last for a few weeks. For habanero simple syrup, use 3 peppers cut into halves (more info below). For cucumber, use one peeled cucumber cut into slices. Use other additives to taste. This is an easy way to experiment with new mixology ideas that you’d typically only find out at mixology bars. It’s a much simpler flavoring method than infusing your own liquors, and will save you on the cost of the liquor you’d otherwise infuse (heaven forbid you mess up on infusing an entire bottle or two of liquor and lose yourself the cost of the bottles). 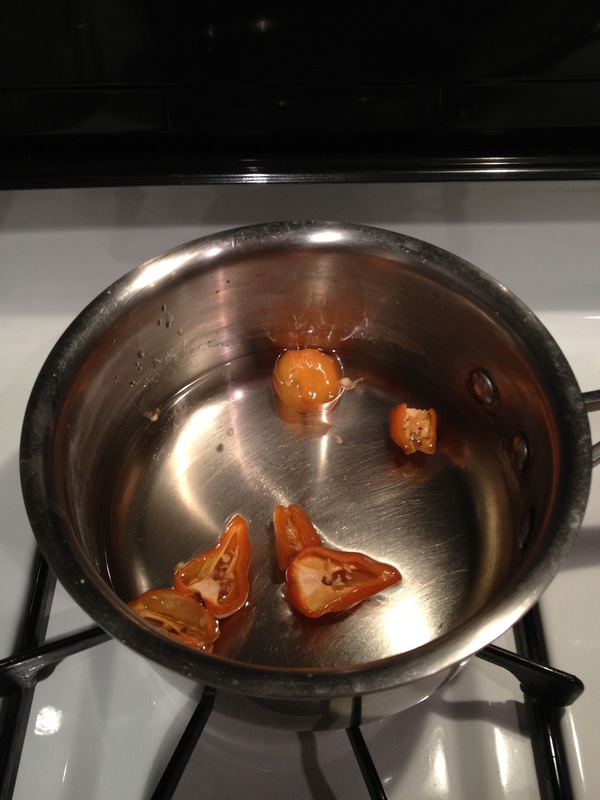 (By the way, be careful handling the habaneros and subsequent syrup. Even the infused syrup alone will burn your eyes if you get any of it in them). Thanks to Tipple Sheet for the habanero simple syrup recipe.